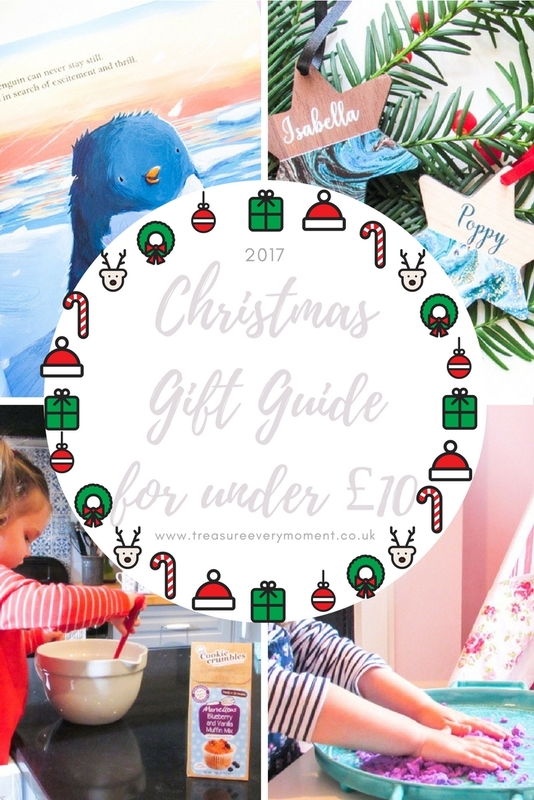 This is the final Gift Guide for 2017 and it's all about stocking fillers! Helping Father Christmas out is perhaps one of the most important jobs of the festive period, so this Gift Guide is filled with affordable inspiration to help with writing those wish lists this year. 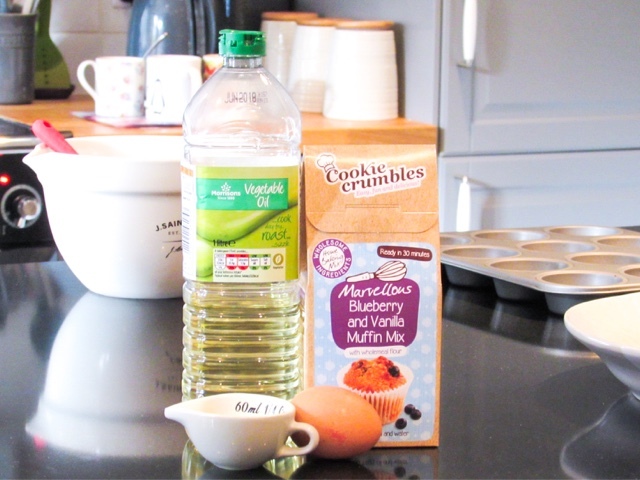 Marvellous Blueberry and Vanilla Muffin Mix from Cookie Crumbles (£3.99) - Cookie Crumbles has a range of delicious baking mixes and gift sets available, which make baking at home so easy. 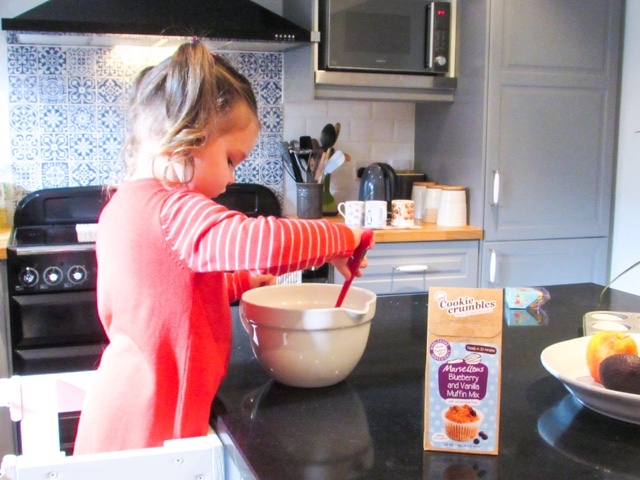 Each baking mix contains most of the ingredients you need to have a fresh batch of cookies, muffins or brownies whipped up in minutes, taking the stress and reducing the mess of baking with children. 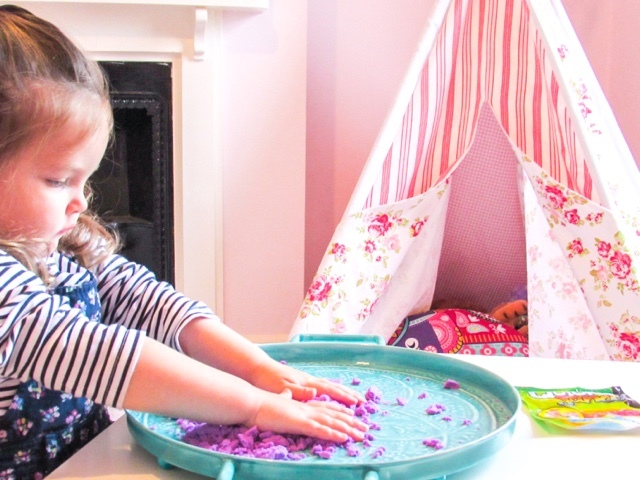 Giving gifts that are activities in themselves is the perfect way to ensure your children are entertained, especially on rainy days. 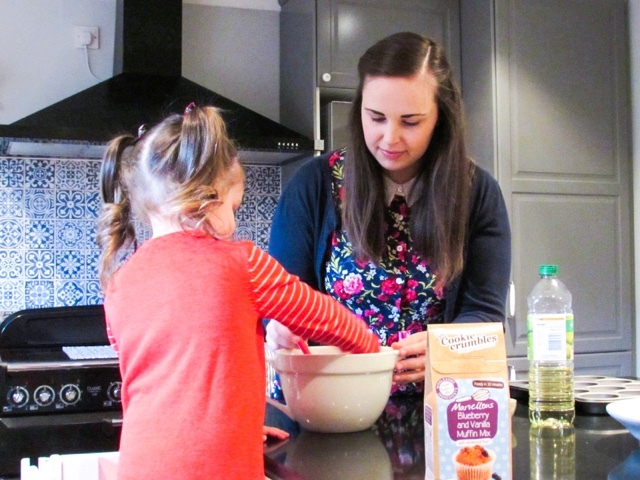 Keep a Cookie Crumbles baking mix in the cupboard for when the sun isn't shining or you all just fancy a real treat. 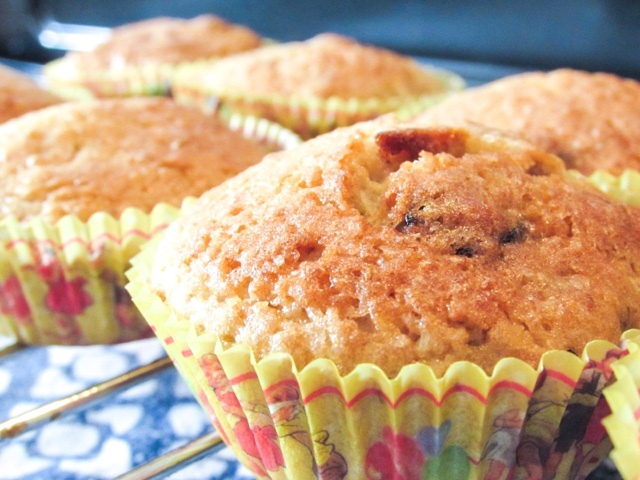 The instructions were easy to follow and the finished muffins were truly delicious! 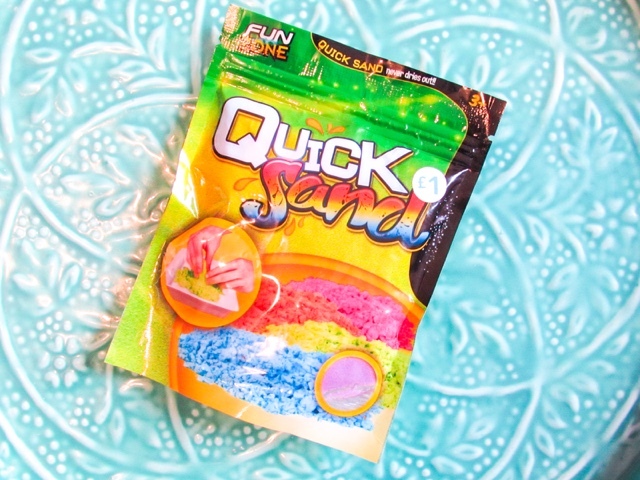 Quick Sand from Primark (£1) - The sand that promises never to dry out and is no where near as messy as regular sand. 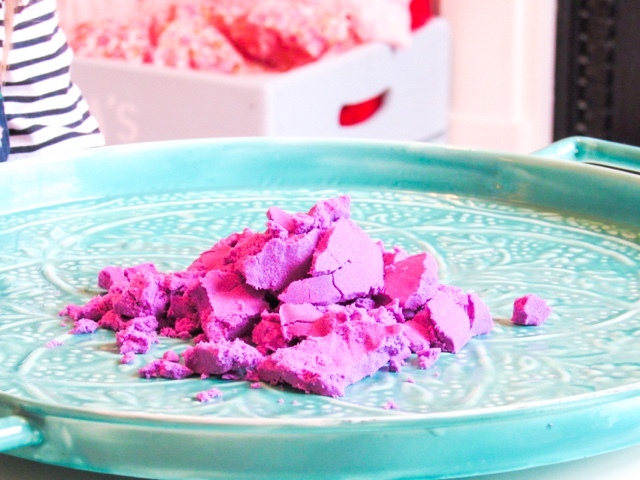 It has slight kinetic properties, so doesn't need dampening to make sandcastles and when broken up it looks like it almost melts away from each other. 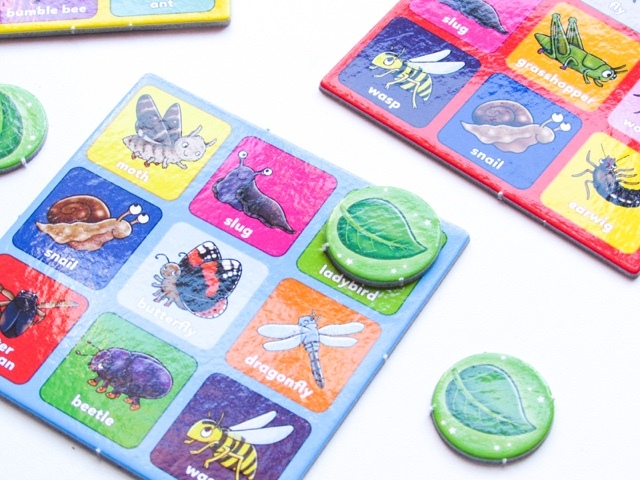 It is available in a variety of colours and there is also a glitter version too. 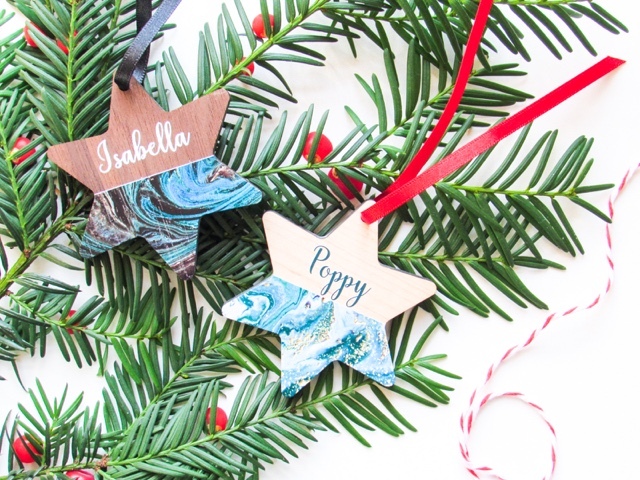 Personalised Marble Christmas Bauble in Walnut Wood or Maple Wood from creategiftlove (£8 each) - How beautiful is that marbling effect on the bottom of these baubles? 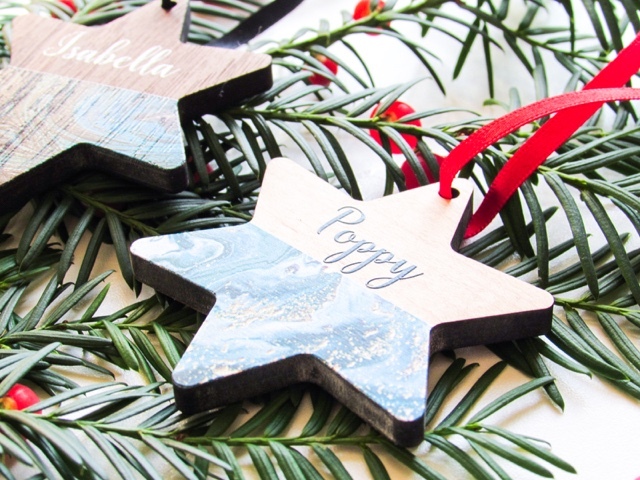 They are such a unique Christmas decoration that would look beautiful on the Christmas tree, but could also be hung on children's bedroom doors during the festive period or even as name hangers all year round. 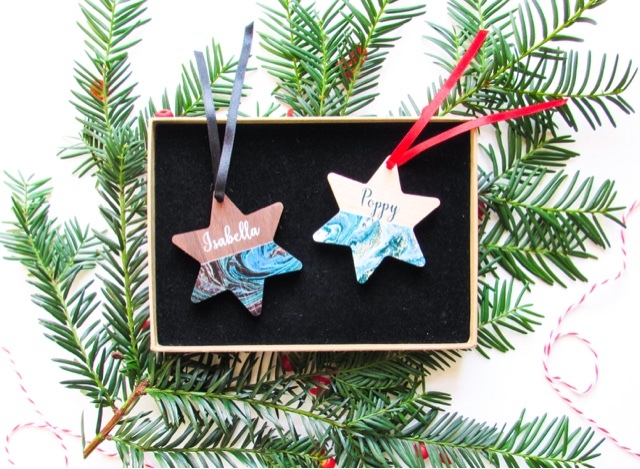 These are available as a star, heart or vintage bauble and there are lots of options to upgrade your packaging if you want to make life even easier. 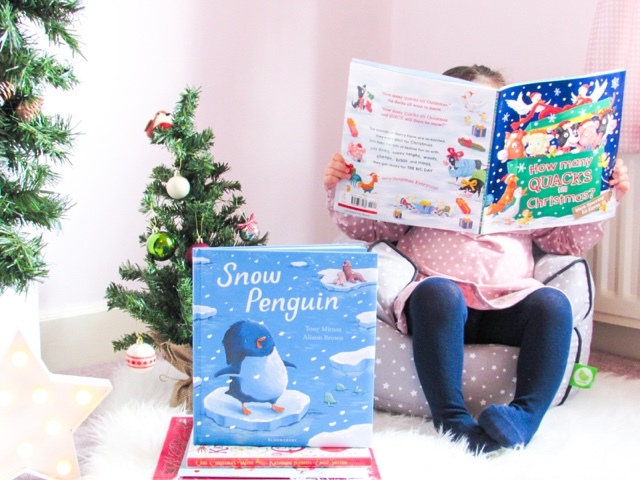 I Went to See Santa by Paul Howard (£6.29), Snow Penguin by Tony Mitton (£8.99) or How Many Quacks Till Christmas? by Mark Sperring (£6.99) published by Bloomsbury - The gift of a book is one that can be truly enjoyed for years and years, in fact decades in many cases. I have so many story books I read Isabella and Poppy that were mine when I was a child or even my parents when they were young. 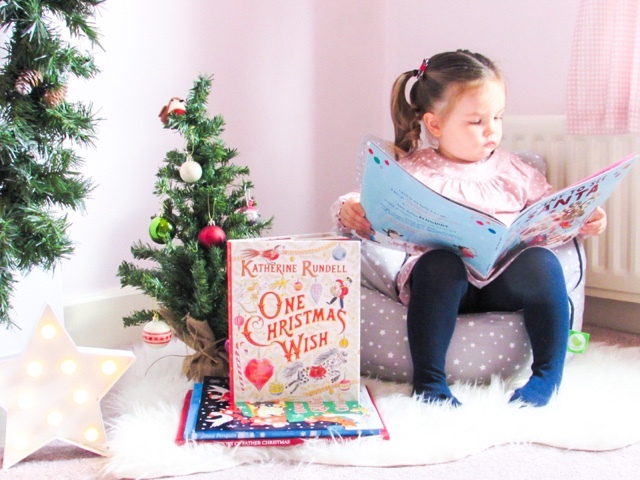 Asking Father Christmas to fill your child's stocking with books gives them the gift of beautiful illustrations, magical story lines and the life-long skill of reading. I Went to See Santa is a fun, action packed Christmas story based around a brother and sister who go to visit Santa and compete to see who can get the strangest gift. 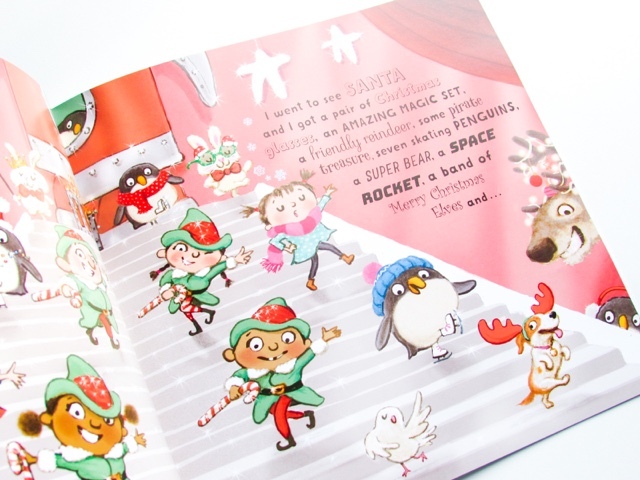 It's a story filled with fun, laughter and sprinkle of Christmas magic. 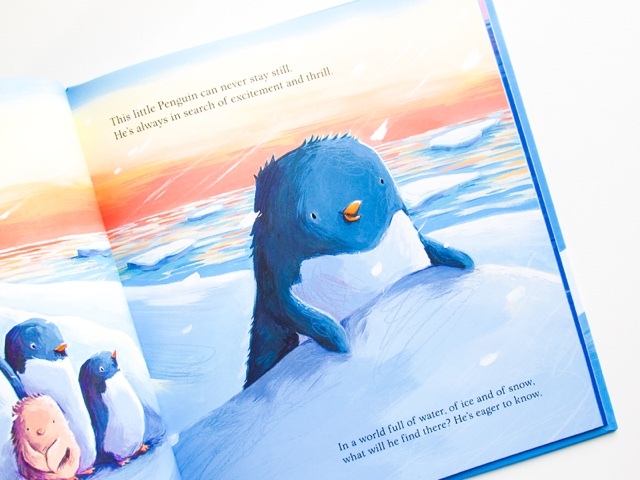 The Snow Penguin is a very cute little penguin who goes on an adventure to explore the ice, snow and sea. On his adventures he comes across lots of exciting sea animals, but begins to miss his family at home and that becomes his best adventure. 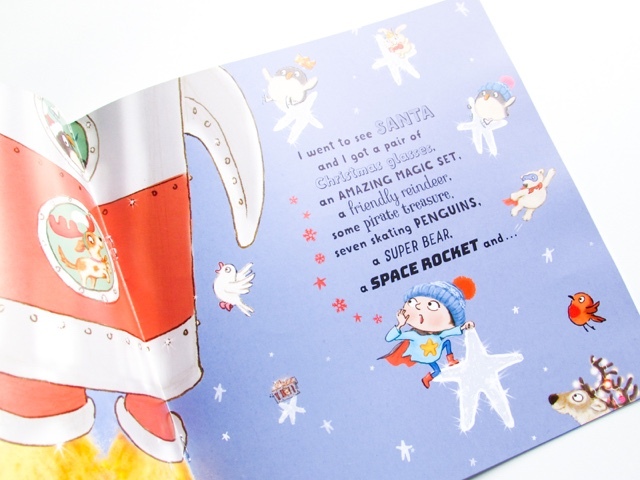 It's a really heart-warming story, perfect for a cosy bedtime story. How Many Quacks Till Christmas? 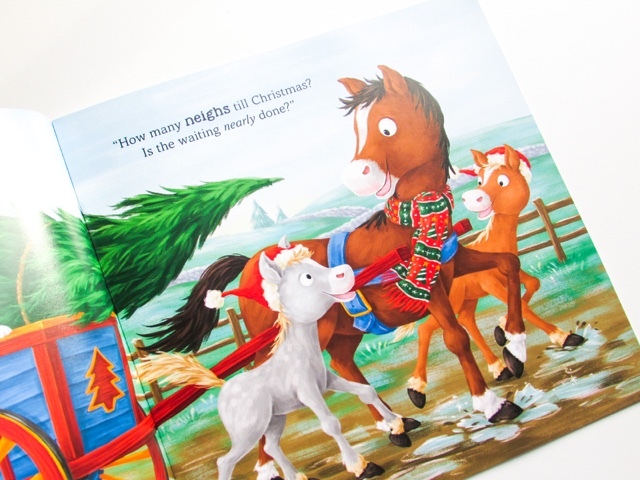 is a Christmas story based in a farmyard where the magic of Christmas has reached all of the animals. 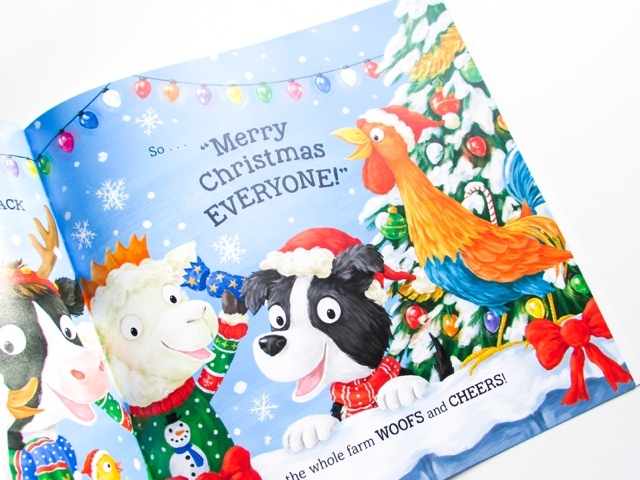 It's Christmas Eve and the animals can't wait for the big day, with joy, laughter and plenty of animal noises throughout. Gingerbread Leggings from Blade & Rose (£10) - Fun and vibrant leggings is what Blade & Rose are perhaps most well known for and their Christmas range is so adorable. 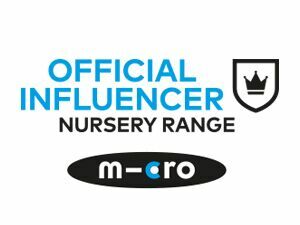 This includes leggings with Rudolph or Red Gingerbread on, available in up to 3-4 years old. Their leggings are so thick and cosy, making them perfect for these colder months. Blade & Rose have also expanded their product range considerably, to include tops, socks, slippers, hoodies, wellies and hats. 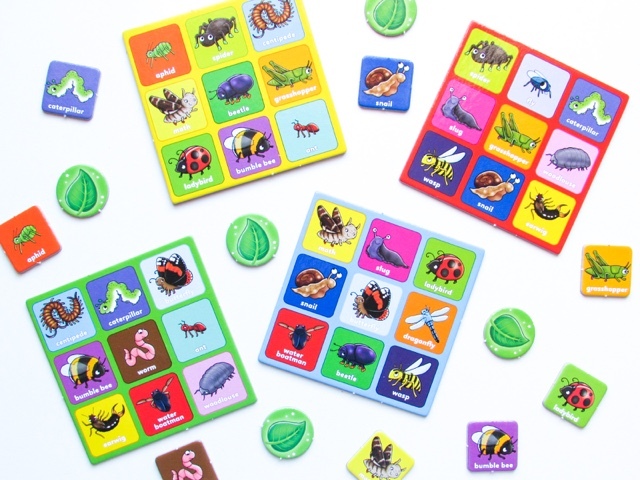 Little Bug Bingo Mini Game from Orchard Toys (£4.99) - A colourful, travel bingo game that is ideal for taking on days out, to family/friend's houses or on holiday. 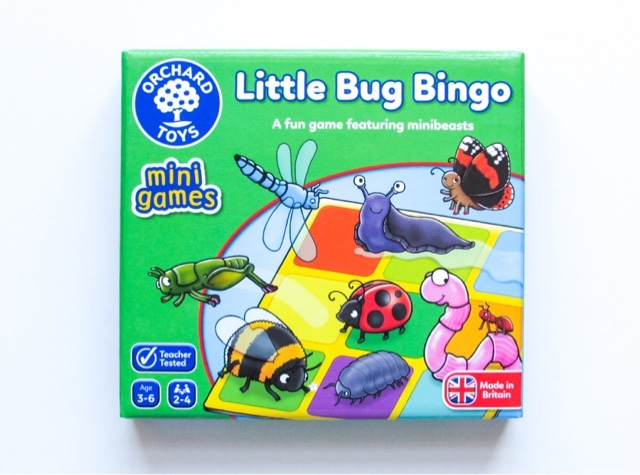 This bingo game will keep children entertained, is aimed at 3-6 year old and requires 2-4 players. 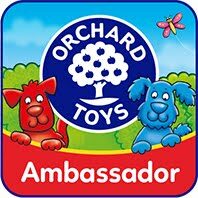 As with all Orchard Toys games, the instruction are easy to follow and the boards/counters are built to last. 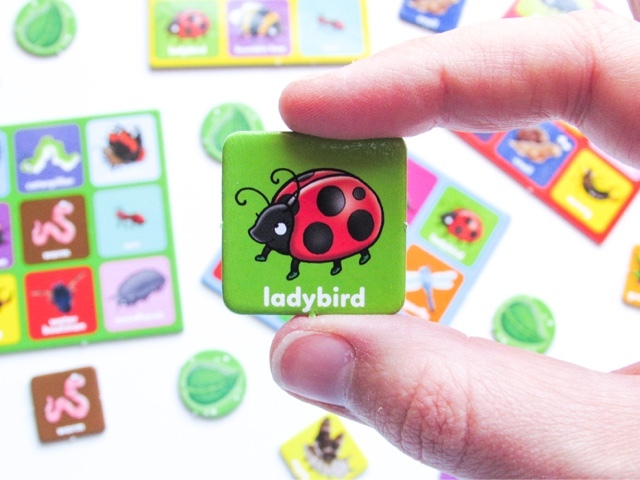 There are also a number of other mini games for under £5, which would make perfect stocking fillers this Christmas, including: Llamas in Pyjamas, Crocodile Snap and Penguin Pairs. Monkey Teether by Matchstick Monkey (£9.99) - Teething is a hard phase for both babies and parents, so finding the best teethers can really help ease the discomfort. 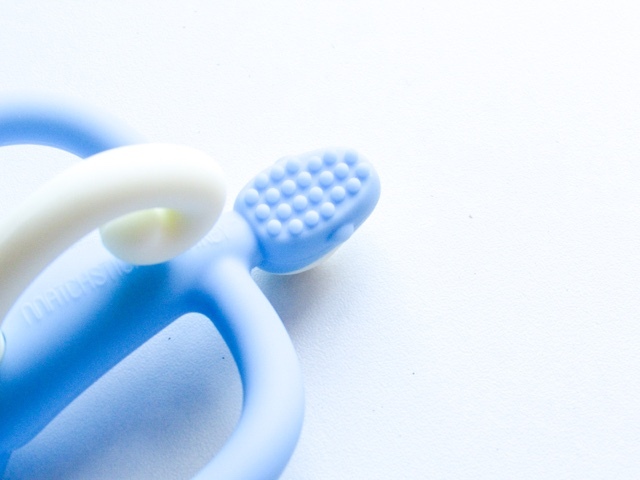 Matchstick Monkey has fun, soft teethers that are available in 8 different colours (grey, yellow, light blue, green, pink, blue, orange and red), are dishwasher safe, freezer friendly and have toothbrush bump on the back of the head to help massage the gums. As you can see, Poppy loves munching on hers and the arms act as handles so she can hold it by herself. 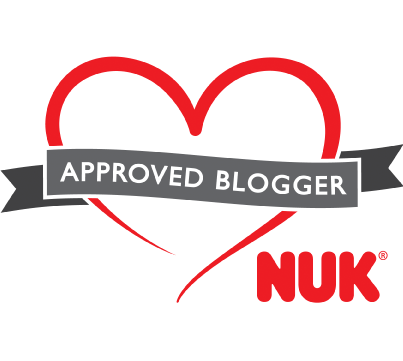 I have also put together a Gift Guide for Babies, Toddlers, Her and Him, if you're in need of more inspiration. What are your top stocking fillers this Christmas? *This post contains PR samples, as always all opinions are my own and completely honest. What great ideas! You can always count on good old Primark for a bargain and anything remotely cookie like would go down a storm in my house! We've got a few pairs of blade and rose legging. I love them. They're so cute and wash and wear so well! I love the idea of books and cake mixture in the stocking. It's nice having things that you can do together over the day. 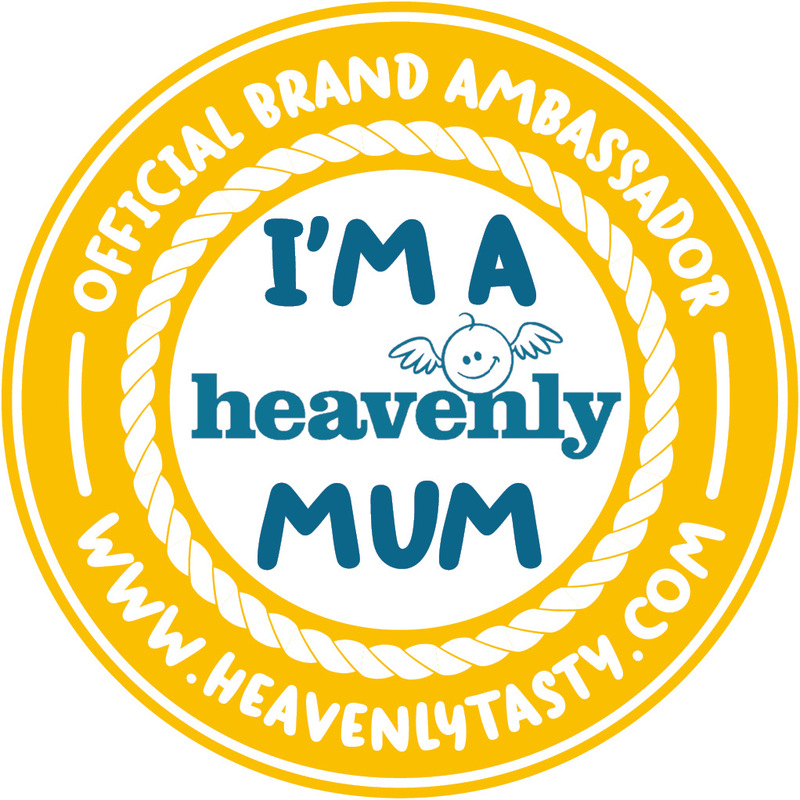 I love the idea of giving a stocking filler that helps families do more baking! Such a lovely idea! These all sound like great suggestions. I like the sound of that sand for my kiddies and also the muffin mix.